From 30th August this year, Chachapoyas, Peru and Kuélap will become more accessible, with domestic airline LC Perú announcing direct flights between Lima and Chachapoyas every Thursday and Sunday. These new flights will give visitors the opportunity to maximise their time marvelling at the ancient fortress of Kuélap, learning about the ‘Cloud Warriors’ who inhabited the area centuries ago. Chachapoyas is a remote Peruvian city visited mainly by hikers and adventurers, previously isolated by limited bus connections and a lack of commercial flights. The city is known as the Gateway to Kuélapwhich is considered by many to be the ‘Machu Picchu of the north’. 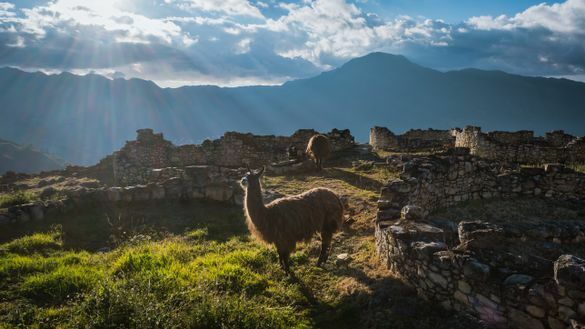 The fortress of Kuelap is believed to have been built between 600 and 900 years before Machu Picchu and is both larger and on a higher mountain than its famous southern counterpart, with over 550 structures on the site. There are ample opportunities to get off the beaten track with itineraries incorporating ancient culture, stunning natural landscapes and unique wildlife in the area. Eclipse Travel’s team of Peru experts can tailor make itineraries to combine this unique destination with any other destinations within Latin America. The Cloud Warriors were experts in architecture and living off the land, developing a unique culture that was eventually conquered by the Incas shortly before Spanish arrival in the 16th Century. Guinea pigs were used as mobile central heating systems for the cold months, and their buildings were circular stone constructions and raised platforms constructed on slopes, sometimes decorated with symbolic figures.